Let’s go back to Casa Conejo to enjoy our Official Summer Party Event! 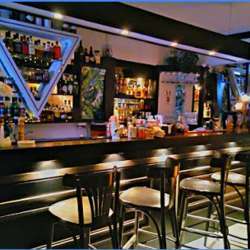 Casa Conejo has a unique identity and experience, a diverse place that feels like home, allowing you to be spontaneous and enjoy all night with delicious and special foods and drinks. In this official event, we will have a great party with a Dj accompanying us all night, and every attendee will be welcomed with a drink that includes either wine, beer, pisco sour and sangria. We will have an exclusive area that includes the terrace and the main lounge, where we can share and dance. We will also have some surprise draw in the event with the collaborating of some companies as Laboratories Knop. Knop Laboratories through scientific and technological development, has innovated in the development of medicines with natural active ingredients, strengthening their commitment to sustainable development. Based on respect for the environment, they take care of the planet that we will deliver to future generations. Since 1931 improving the well-being of people. Albatross members who sign up join for only $2.000 CLP, Basic Members will pay an entrance fee of $8.000 CLP, while those not on the guest list will be charged $9.000 (including Albatross and Basic members not on the list). So be sure to sign up! Don’t miss the opportunity to join us in this holiday. Come and live the InterNations experience!